When a potential customer does their own research on your brand, then they may come across content that is not the first thing you want them to find. Control your brand’s message by bidding on your company or product’s name and keywords (in addition to other keywords) so that you tailor the message that you want a new client to read. Your search engine result positions (SERPs) are important. 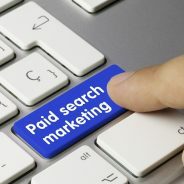 If you are starting to lose rankings, then you can bring them back up with a well-planned paid Google advertising campaign. By combining SEO with PPC, you will ensure that a search engine user sees a lot more of you when they are looking for information online. Is your competition outselling you many times over? It might be because they have found smart ways to use PPC. Check out what your competition is doing in the PPC sphere so that you craft your PPC ads and landing pages to be even better than theirs. While many digital marketing consultants will try to get you to put as much money as possible into a PPC campaign, we often do the exact opposite. With a smaller budget, you are more careful about the keywords that you are bidding on and you are more likely to tweak your ads so that you can optimise what you are spending. Need help with your online advertising or PPC campaign? Then contact WSI OMS today.